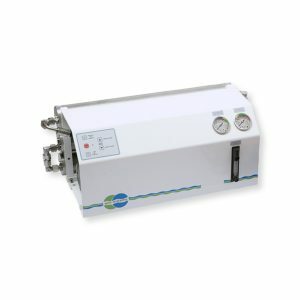 The Water-Pro are highly flexible seawater desalinisation systems capable of producing from 60 to 90 liters of water per hour with solutions that adapt to each boat and a very moderate energy consumption. 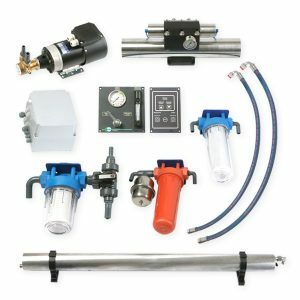 The ST-15 Ceramic high-pressure pump is the result of years of research and development of reverse-osmosis seawater desalinisation technology and is the eighth generation of high-pressure hydraulic energy-recovery pumps. 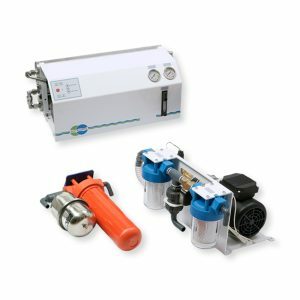 This boxer pump is specially designed for sailboats and motorboats with limited power. 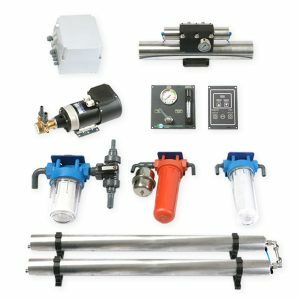 The only element in this energy-recovery system that needs electricity is the feed pump. Therefore, there is no need to install a second electric motor to activate the high-pressure pump. They are available in BASIC (manual flush) and STANDARD (automatic flush) models, and run on 12V and 24V DC power, as well as 220V AC power. 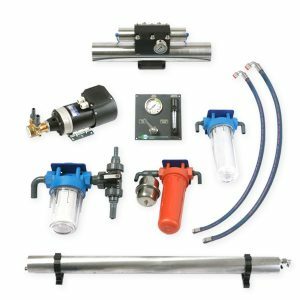 Fresh water flush system with carbon filter and three-way automatic or manual operated valve. Very easy to install, operate and maintain. Very quiet performance, no vibrations. Pump speed can be adjusted on the control panel.